WARSAW, Poland – The Ukrainian parliament has voted to restore NATO membership as the country's strategic foreign policy objective. The Verkhovna Rada passed a bill "to amend the Ukrainian laws on national security and internal and foreign policies. The new laws hereby enact Ukraine's commitment to achieve NATO membership strategically by having made it legally binding," the parliament said in a statement on June 8. Passed by a majority of 276 MPs out of the 450 elected lawmakers, the bill represents a shift from Ukraine's previous non-aligned policy. The move is expected to stimulate increased military cooperation between Ukraine and NATO allies. It is also likely to foster procurements of Western-made weapons and military equipment to the Ukrainian Armed Forces, and spur partnerships between Ukraine's defense industry and foreign players. 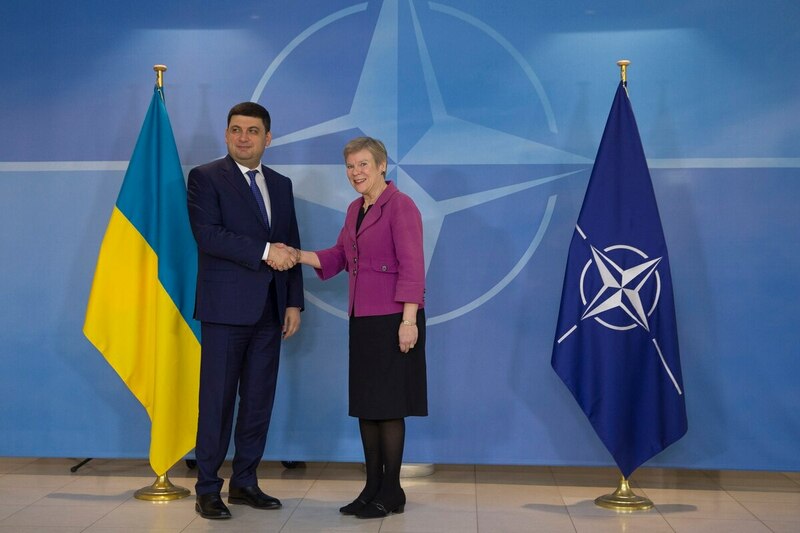 Last February, Ukrainian Prime Minister Volodymyr Groysman paid an official visit to NATO headquarters in Brussels. NATO Deputy Secretary general Rose Gottemoeller said at a joint press conference the alliance opposed "Russia's continuing destabilisation of eastern Ukraine." "What we heard today is a unanimous support for Ukraine in such a difficult time. We highly evaluate our cooperation with … NATO in all spheres. We are very grateful for the support," Groysman said February 9. Meanwhile, Kiev's strengthened commitment to joining NATO is also expected to further strain its relations with Moscow. Last March marked the third anniversary of Russia's annexation of Ukraine's Crimean peninsula that followed a military intervention.